We are now full swing into the holiday shopping season, which means crazy traffic, long lines at the mall, and pretending to enjoy your grandmother’s secret fruit cake recipe. This year, instead of scrambling at the last minute to find the perfect holiday gift, start early and get something they will truly love. The following are some of our best sellers that are sure to be a hit with everyone from your sister-in-law to your Uncle Eddie and everyone else on your list. 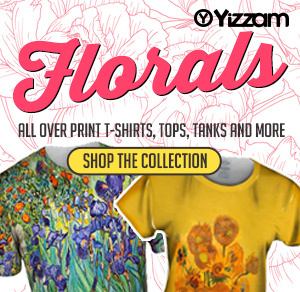 As always, these prints come in both male and female styles. Magical things happen when you combine your love of stargazing with the latest fashion trends. 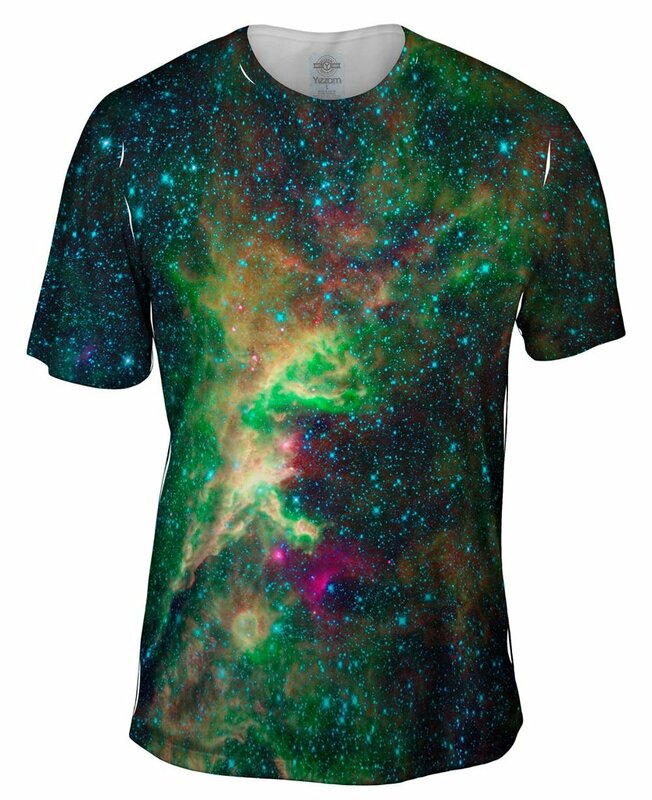 The stars have aligned and this all over print t-shirt is everything you need to give your wardrobe a cosmic makeover. 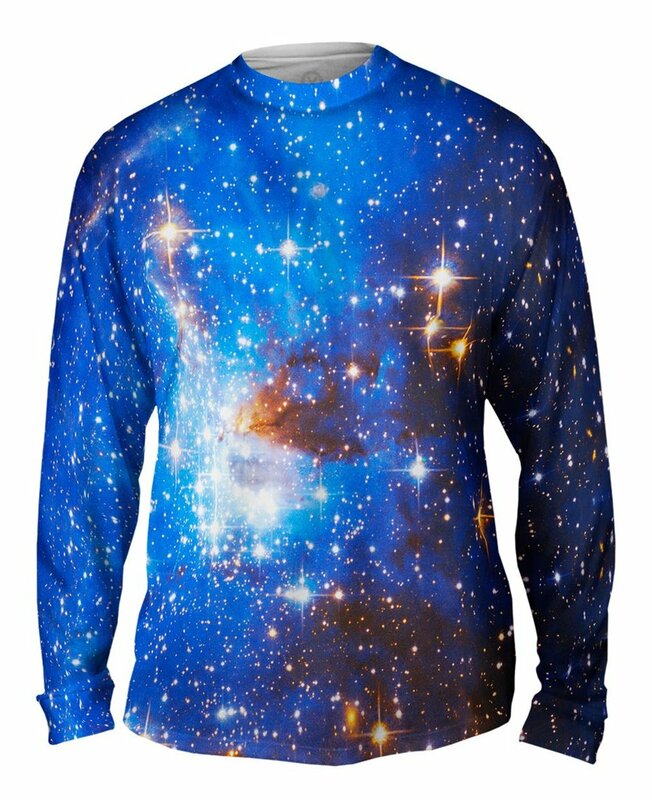 Every aspiring astronaut and passionate astronomer can now wrap themselves in the majesty of the night sky while looking as stylish as ever. Wish upon a star for this all over print t-shirt and your dreams might just come true. Up your game with this wardrobe game changer. These all over print leggings are perfect for your next kickboxing class or a simple jaunt around town. 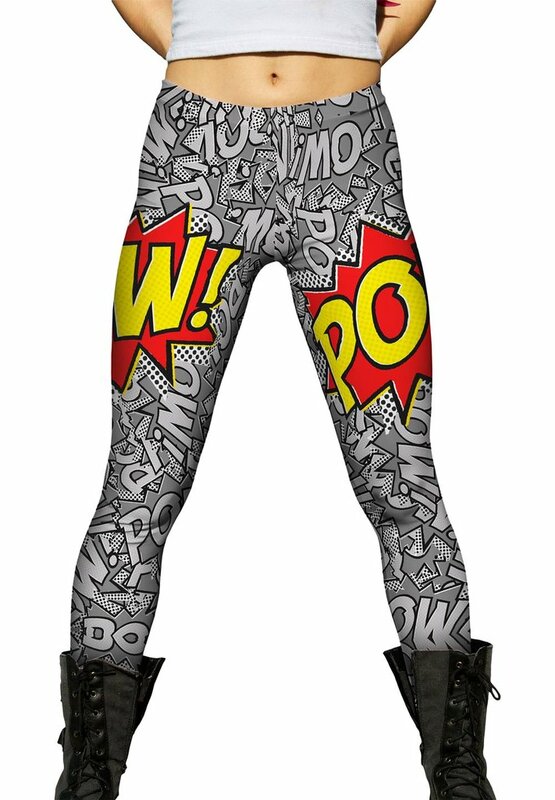 Bring the energy and excitement of old school comic books to life by showing up in your new favorite pair of leggings. Say “Ka-pow!” to whatever adventure comes your way when you’re dressed in these comfortable and stylish leggings. Looking fresh doesn’t get much better than this! 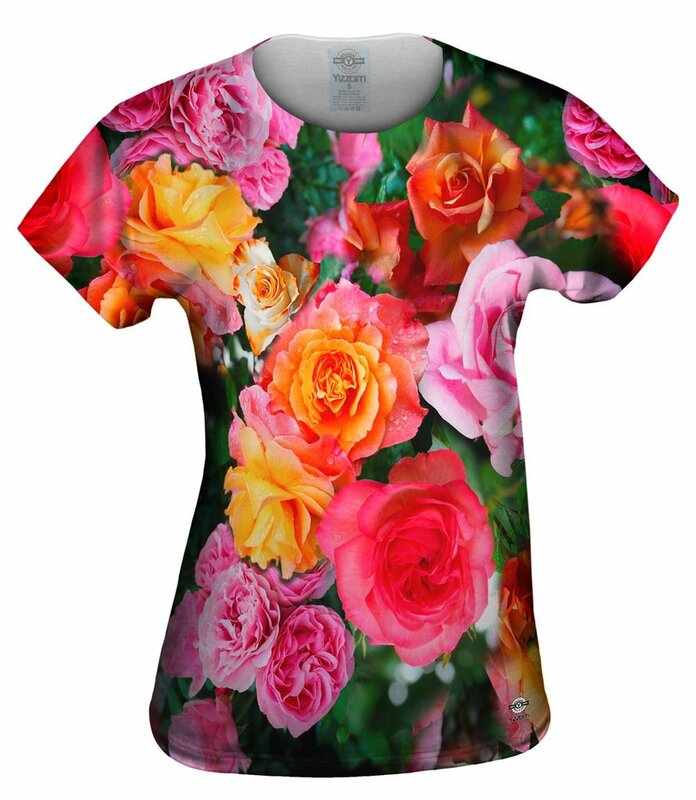 We’ve taken the splendor of a lavish garden and printed it on a vibrantly colorful all over print top. Sure to brighten even the gloomiest of days, this bouquet is the next best thing to a real handful of the classic flowers. Pair this top with everything from jeans to a skirt and heels for a look that effortlessly goes from day to night. Looking good is always in season with these beauties! If you’re searching to add a little variety to your look this year, than look no further than the authentic and powerful style of African Tribal Kuba Cloth all over print t-shirt. This long sleeve tee is as close to the real thing as anyone could possibly get, with a design that stems from tradition and custom. No need to book that bucket list trip to Africa, we’ve got the souvenir apparel without the price tag of a plane ticket! There’s something so beautiful about the stillness and calm of a quiet cemetery. All creepiness aside, this cemetery angel all over print top proves that cemeteries can be an ethereal and palliative place to be. 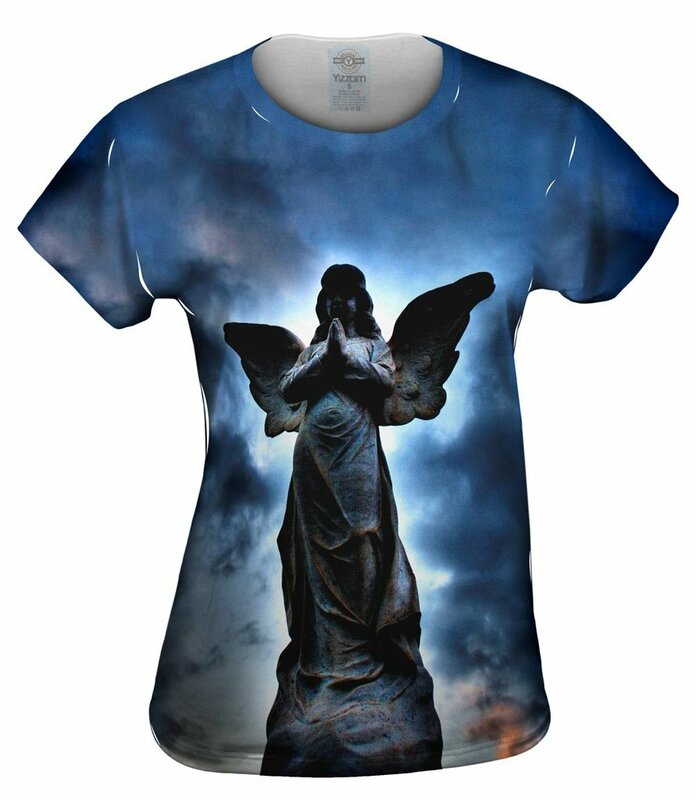 Whether you are remembering a loved one, have a place in your heart for angels, or just think this all over print tee shirt would look great with your new kicks, this top is an absolute wardrobe must-have. 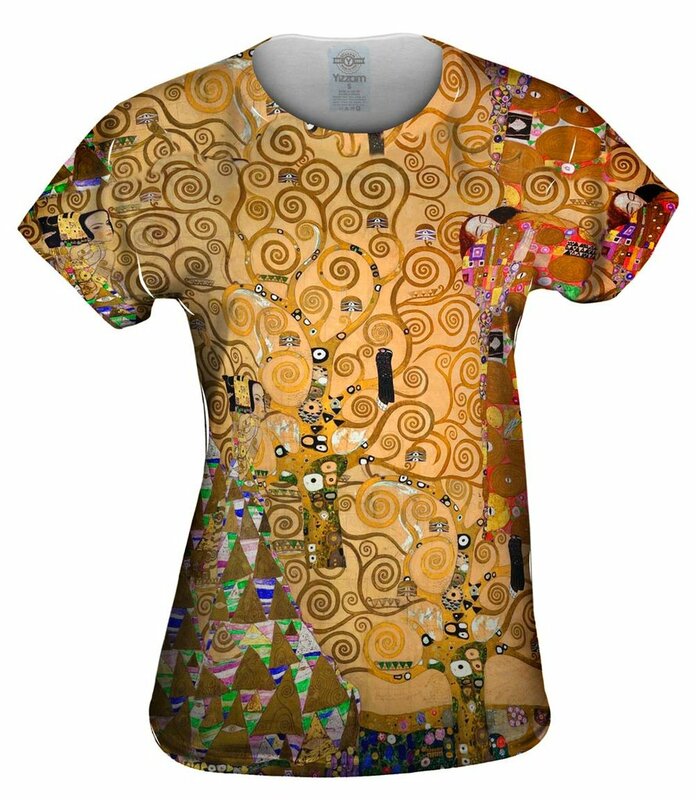 Considered among the most recognizable masterpieces from Gustav Klimt, this print symbolizes the connection between heaven, earth and the underworld. The mythical symbolism and deep expression of life’s complexity expressed in this work of art, is just the thing she wants this year. The surge of gold with flecks of color throughout the piece was deliberately done during the Austrian artist’s Golden Period, to create luxurious and lavish appeal. This tee is so fancy no jewelry is required (a real bonus if diamonds were on her wish list). If there’s a spontaneous, unpredictable, and trusting person on your list, the tiger might just be their spirit animal. 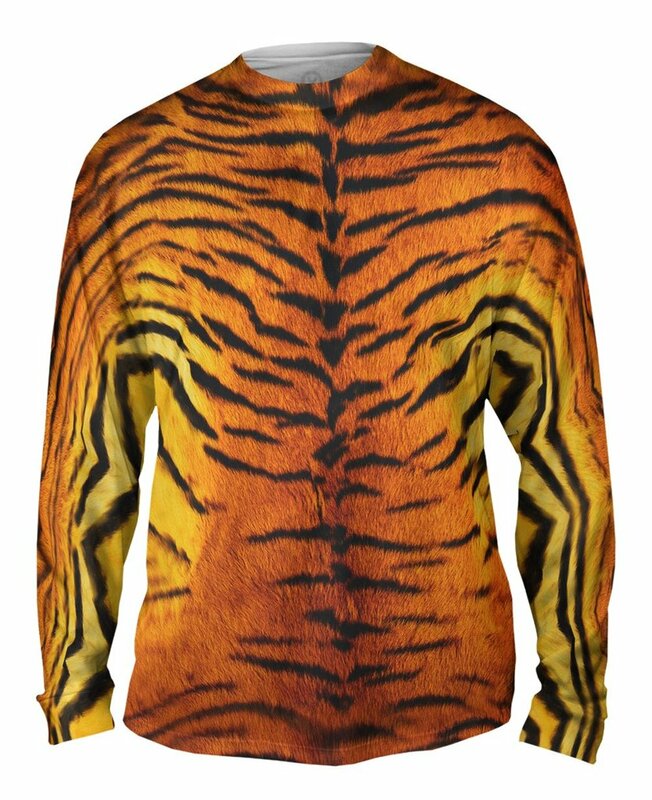 Their perchance to dream and courage with an energy to always try something new is exactly why they will love this tiger skin all over print long sleeve t-shirt. Help them get their prowl on with this unique gift. 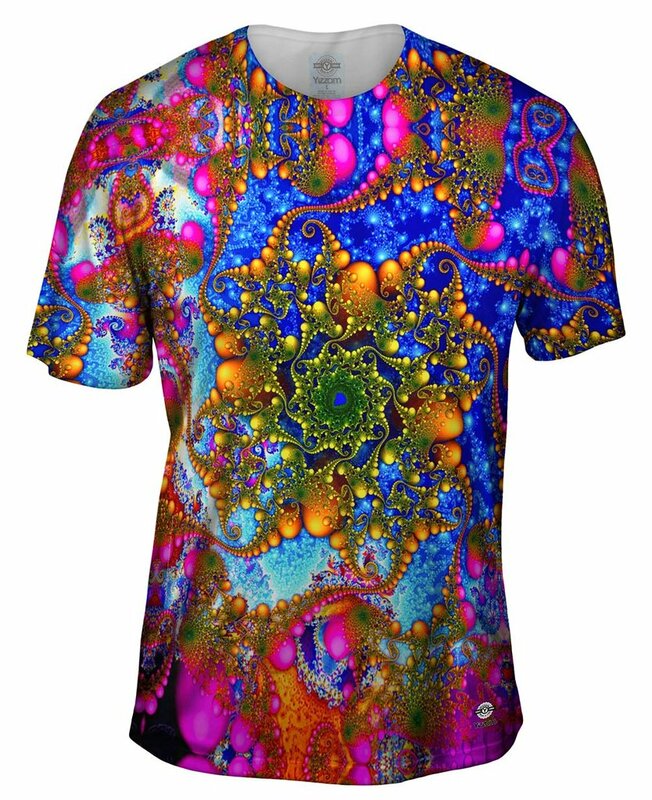 Give them a real trip this season with this “far out” Psychedelic Curl all over print men’s t-shirt. With vivid, bright colors, and a unique pattern, this gift is truly outta sight. If you’re looking for something that will surely stand out among the crowd as a memorable gift, look no further than this trippy print. For a style that is as comfortable as it is groovy, this t-shirt is one they will love to find under the tree. One of the Greek Constellations, this galaxy is in the northern hemisphere and impossible to see without a telescope. 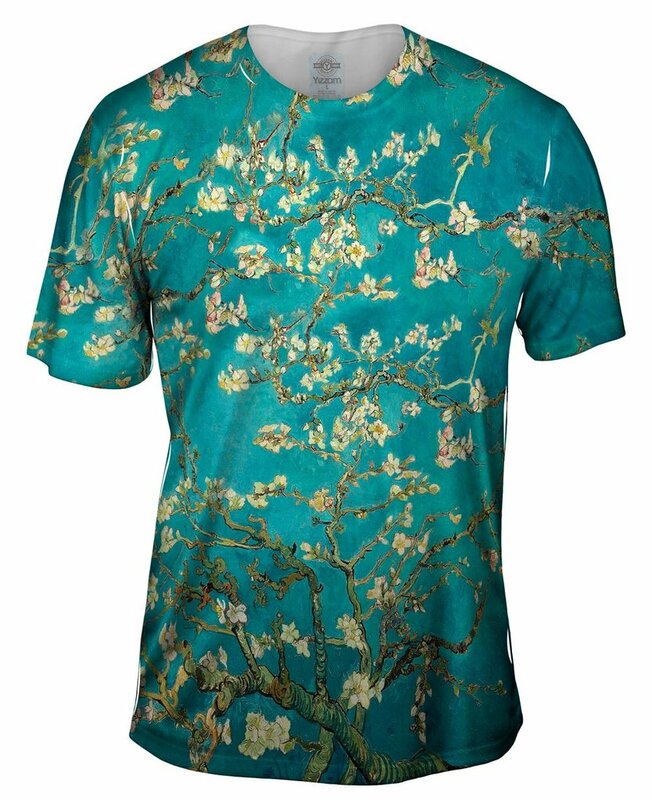 Instead of gifting your loved one a telescope that would cost you thousands of dollars, give them the next best thing: this amazing all over print men’s t-shirt. This star-studded tee will help them light up the night wherever they go. At a time when there’s nothing but freezing wind chills, grey days, and snow on the ground, there’s no better gift then this beautiful all over print top to remind us of summer. 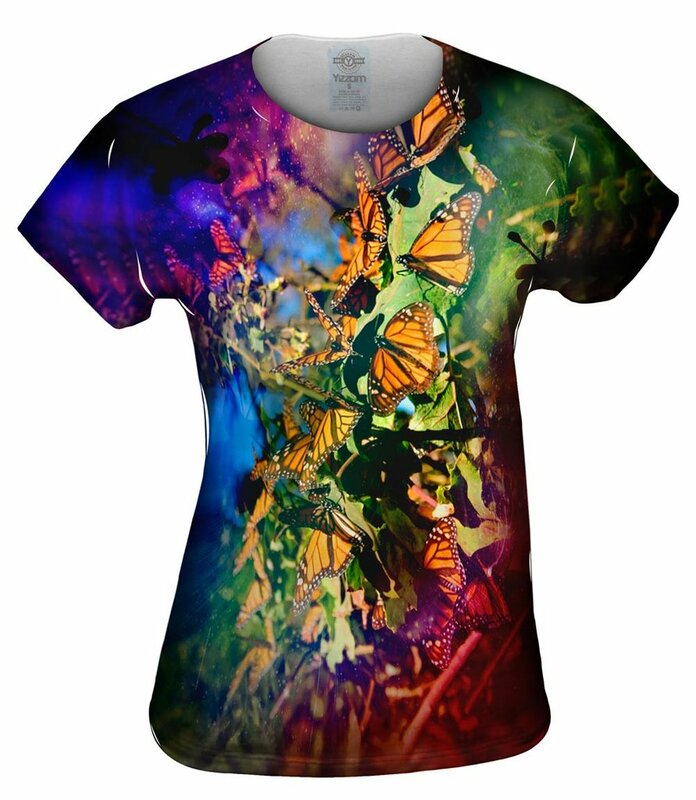 A must-have for nature lovers, you’re sure to make their season bloom bright with this adorable tie dye butterflies top. Perfect for an art history lover, this famous print represents awakening and hope. Van Gogh was fond of painting blossoming trees but probably had no idea how good his artwork would look paired with a nice pair of jeans. Give them a gift of sophistication and their sense of style with this effervescent all over print design. Go ahead and let them shake their fancy tail feathers this holiday. 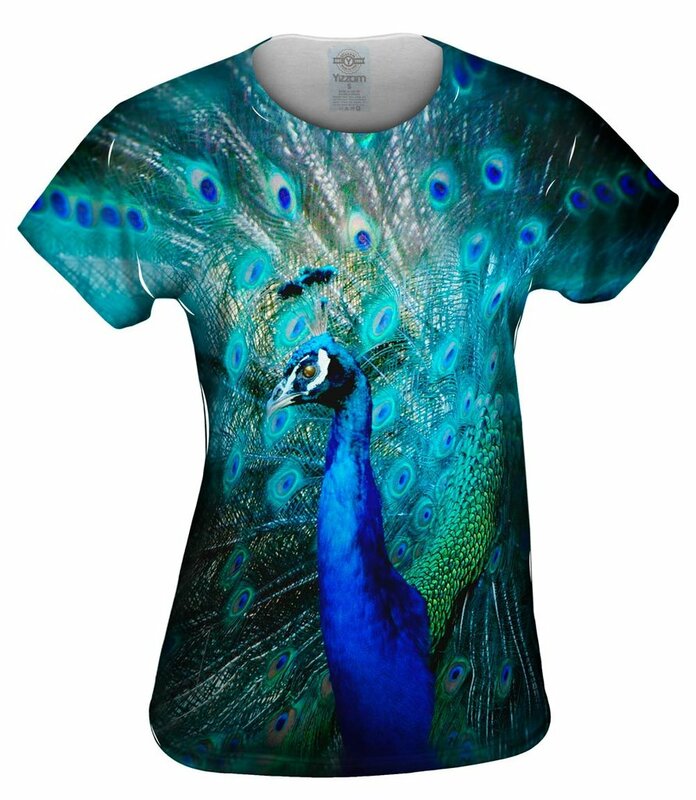 Printed with one of the most beautiful birds on the planet, this design is sure to get you bonus points when it comes to best gift this year. Painted while with his young family in the Fontaineblueau in the summer of 1921, this piece represents Picasso’s love of art and music. With its angular shapes, flat patterns, lively colors, and the mystery of not knowing where one musician starts and another stops, this piece is truly enigmatic and alluring. 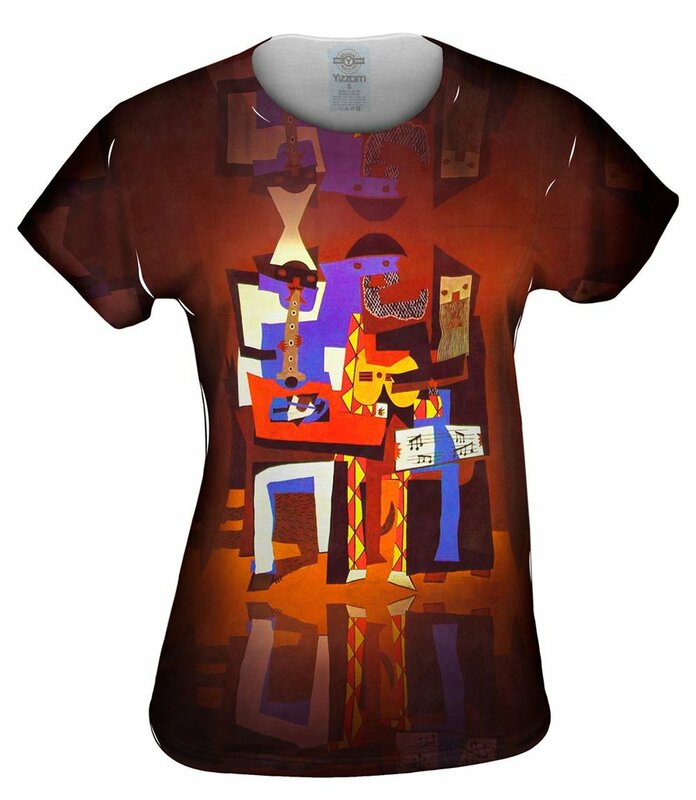 Gift this one to your favorite art and music lover. Know a sagacious, intuitive person with an undying love for EDM? Then perhaps the wisdom and guidance of the regal owl suits their style. 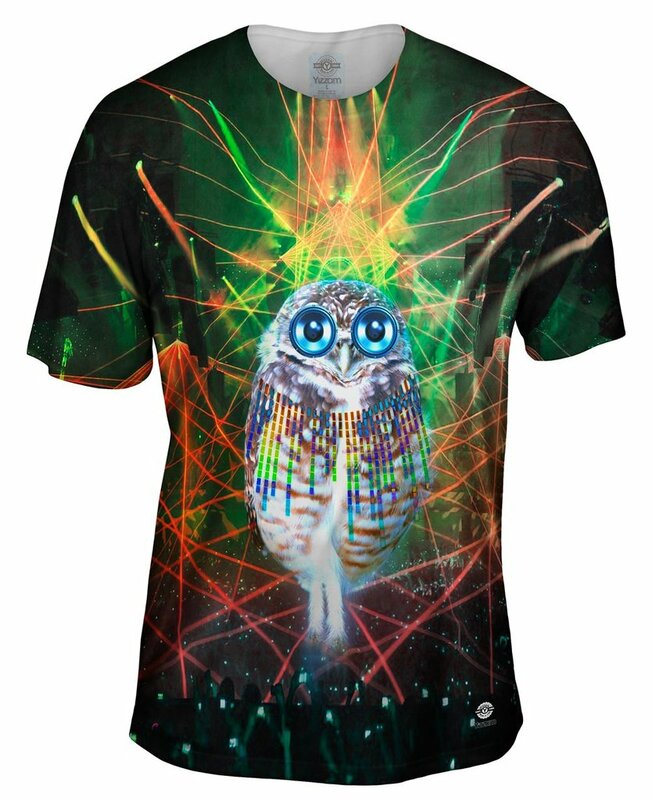 This all over print mens t-shirt is just the thing for a nocturnal friend who loves a good dance party.